Activision’s Call of Duty: Modern Warfare 3, its latest instalment in the Call of Duty franchise, has smashed entertainment records by selling 6.5 million copies in its first 24 hours on sale (more than 75 copies a second) and that’s just in the US and the UK. 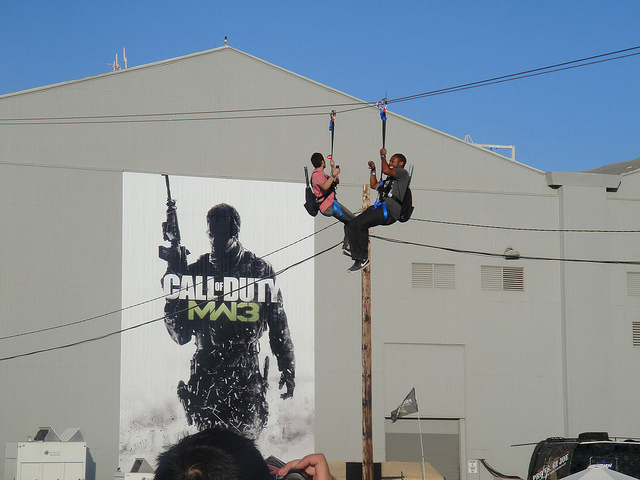 Sales of Modern Warfare 3 reached $400 million, eclipsing records set by previous Call of Duty titles Black Ops and Modern Warfare 2, setting what Activision calls an ‘all-time record for the biggest entertainment launch’. Launch sales were helped by more than 13,000 midnight openings at retail stores in Europe and North America, ensuring that within the first two days the game set a new peak user record on Microsoft’s Xbox Live service. With gaming studios pumping millions of dollars into the development of PC and console games, Activision will be delighted to see such a rapid return on its investment in the latest title in its immensely popular first-person shooter franchise. The gaming industry might be seeing an increase in piracy but there is no doubt that when a game is made right, people will be willing to queue through the night to get their hands on it.